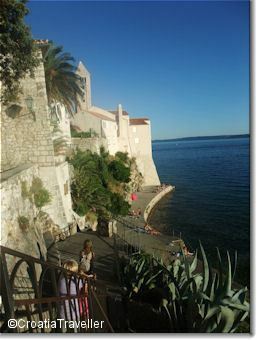 Lying in a protected bay on Rab Island, Rab Town dates back to the 12th century when the ancient settlement was fortified. The town was sold to Venice in 1409 and much of the architecture you see was built under Venetian rule. The town is organized around three straight streets that run parallel to the sea, aptly named the Lower Street, Middle Street and Upper Street. Particularly striking are Rab's four famous bell towers. Several of them date back to the 12th century and have survived the collapse of their attached churches. 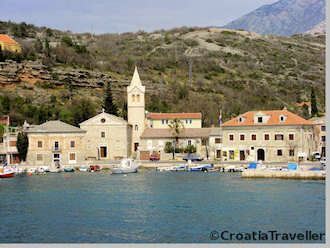 In addition to sightseeing in Rab's compact and attractive Old Town, Rab Town makes a good base for exploring Rab Island. A number of agencies offer boat tours around the island or you can rent a boat or a scooter and do it on your own. See the Getting to. . information for Rab Island. The main hotels in town are the Hotel Imperial, in the middle of a landscaped park and the Hotel Padova which offers a swimming pool and sauna. Hotel Istra is a centrally located option. 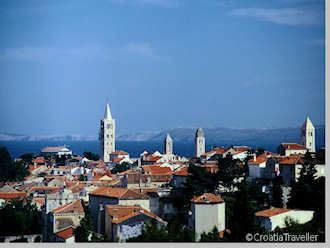 Find out more about staying in Rab Town. The Rab tourist office (tel 051-771 111) has two offices; one at Donja Ulica 2 in the town centre and the other which is around the corner from the bus station.